MCP Math Level D Homeschool Kit, 2005C Ed. MCP Mathematics D (4th Grade) Student Workbook, 2005C Ed. Each chapter has a test page and a cumulative review page. In addition, there are alternative tests for each chapter in the back of each book. 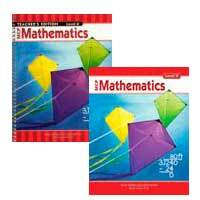 The consumable student workbook for Modern Curriculum Press MCP Math Level D is a consumable paperback. MCP Math D Teacher, 2005C Ed.